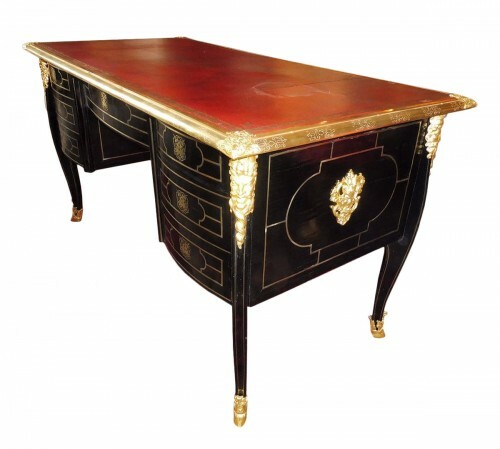 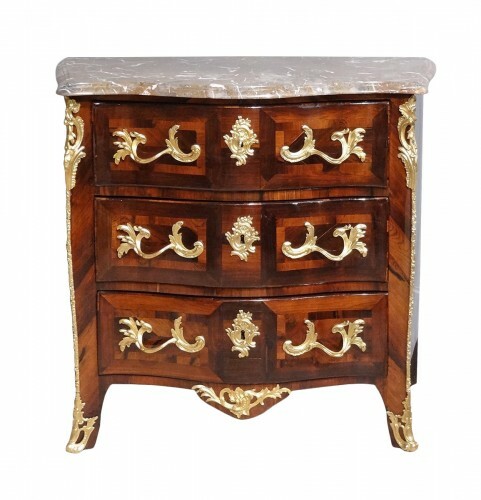 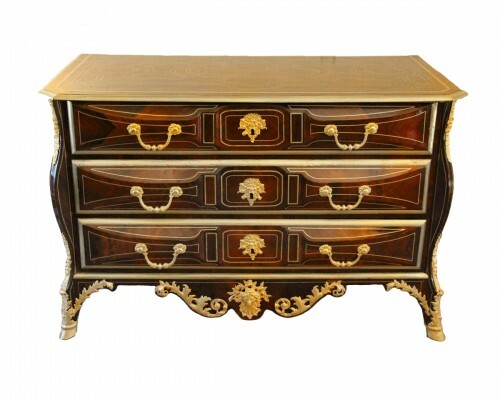 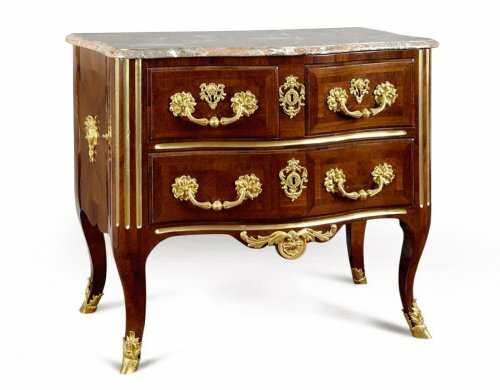 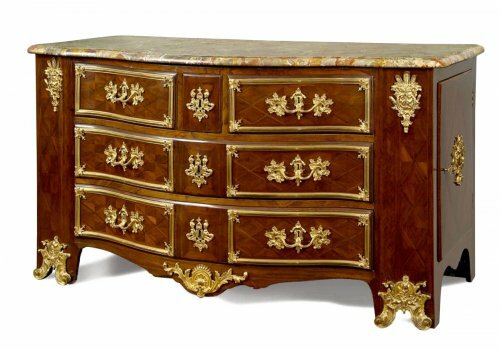 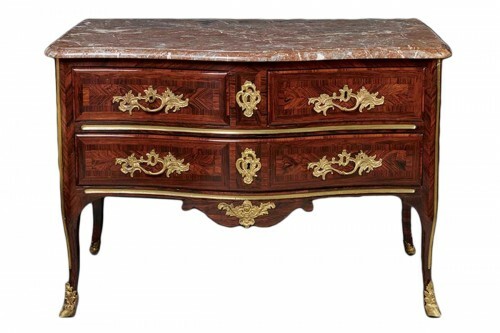 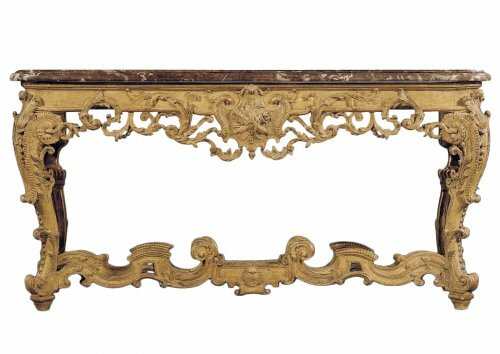 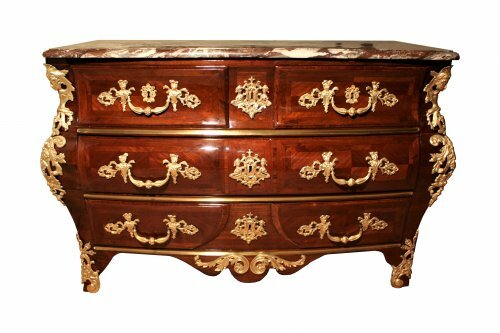 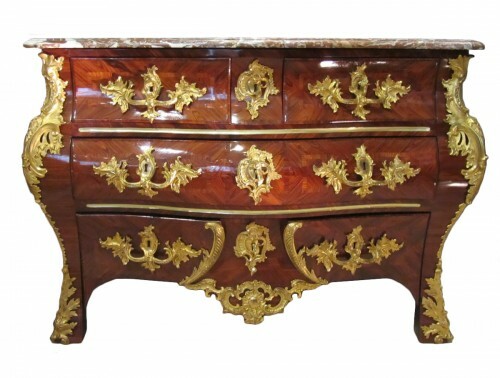 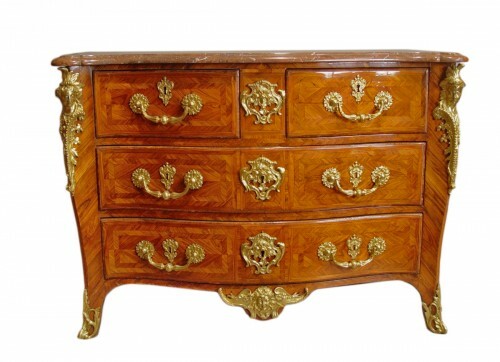 A fine Regence commode "à pont"
While it retains certain features of Louis XIV furniture, Régence period furniture relaxes its lines to offer more lightness, whimsy and elegance. 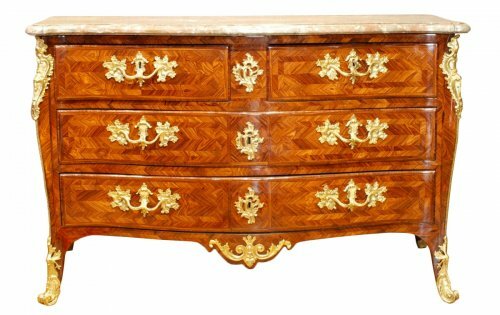 The curved line appears. 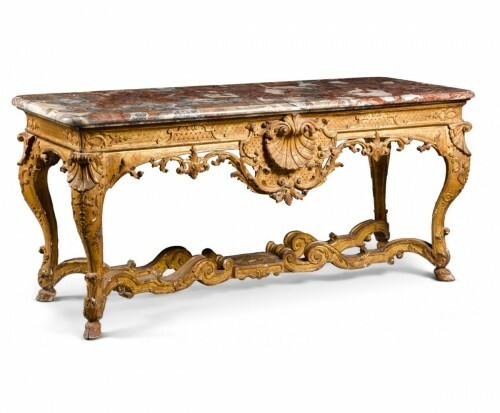 The emancipation of the rococo style begins. 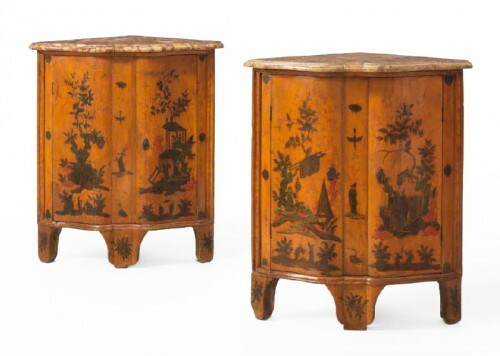 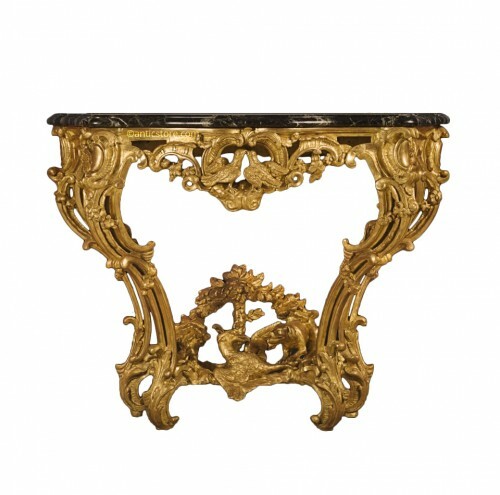 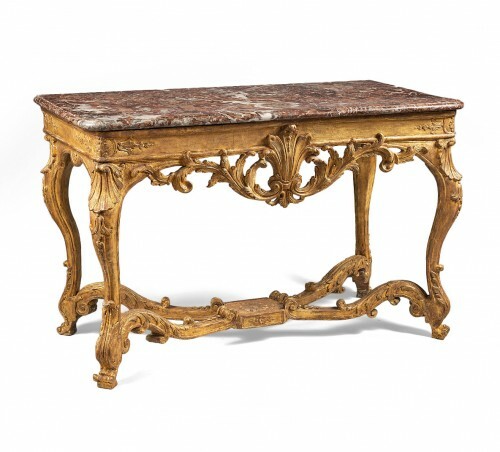 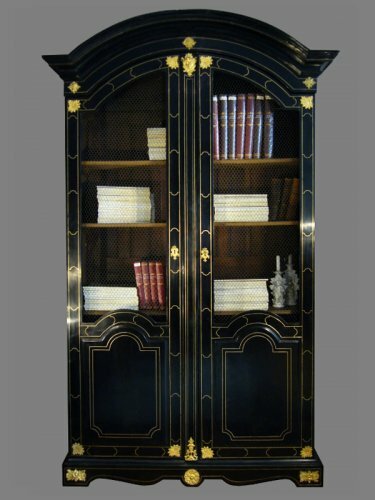 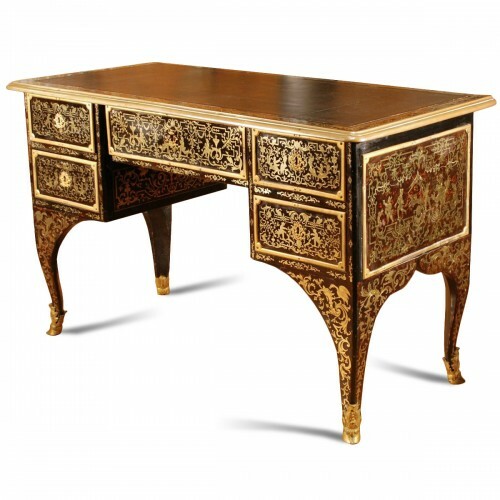 A transitional style, the Régence proclaims the great themes of the Louis XV style, in particular chinoiserie, animated motifs of foliage, rosettes, seashells. 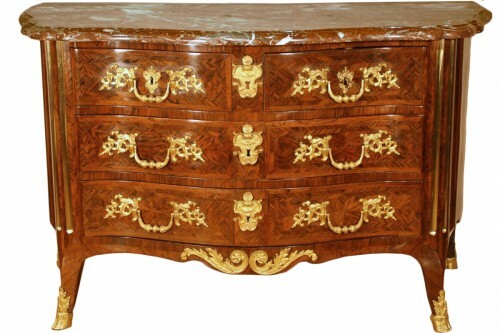 Espagnolettes are a novelty of the style. 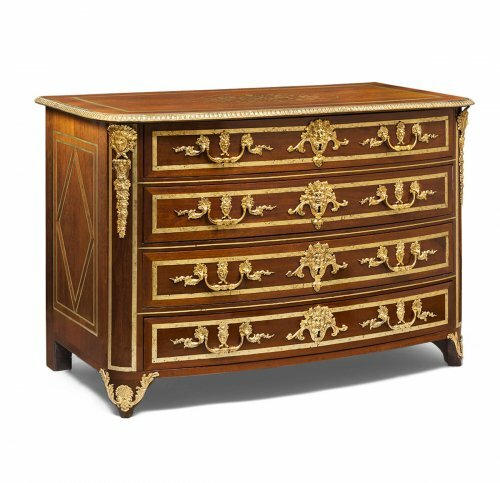 Régence furniture does not introduce new creations, but rather revisits existing models such as the chest of drawers: which becomes a jigsaw, the bombé chest. 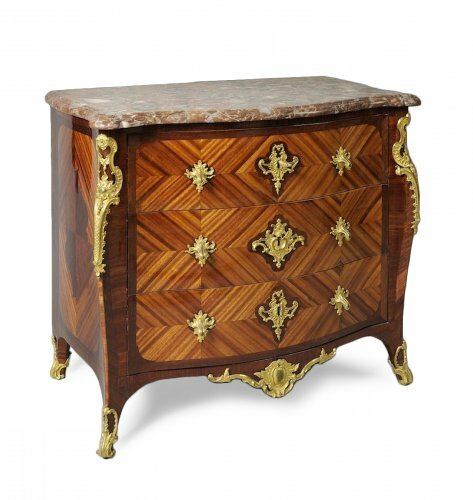 Boulle marquetry is no longer in fashion. 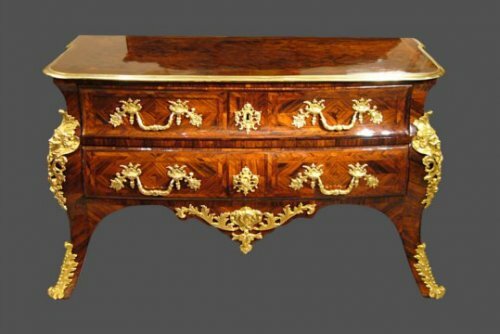 Kingwood and rosewood are used for veneers. 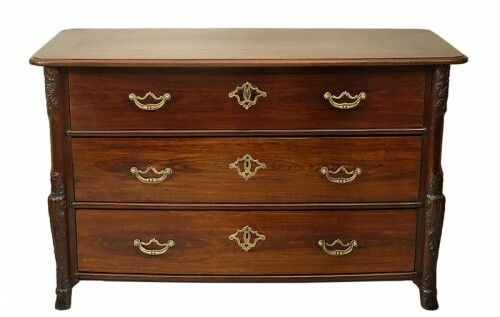 Pear wood replaces ebony and is adorned with brass threads. 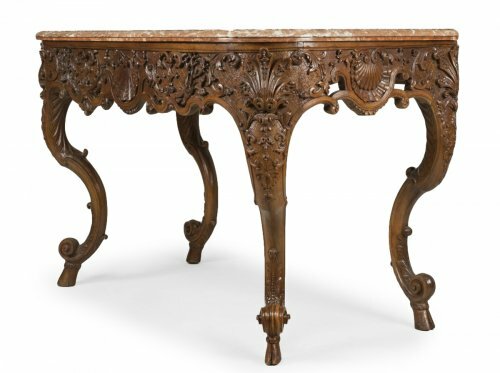 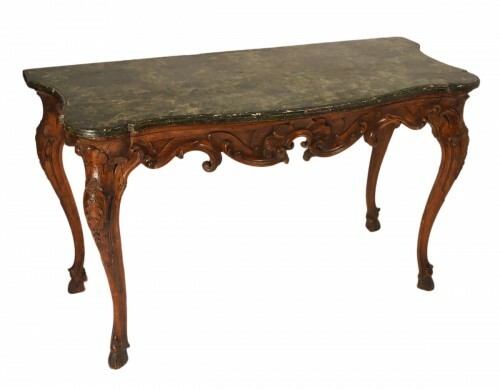 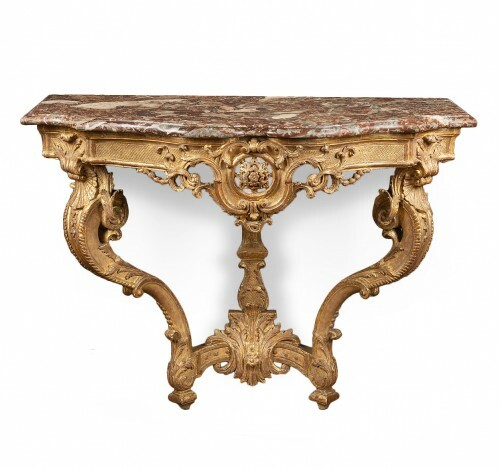 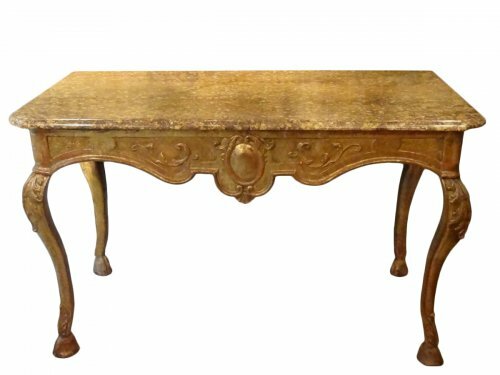 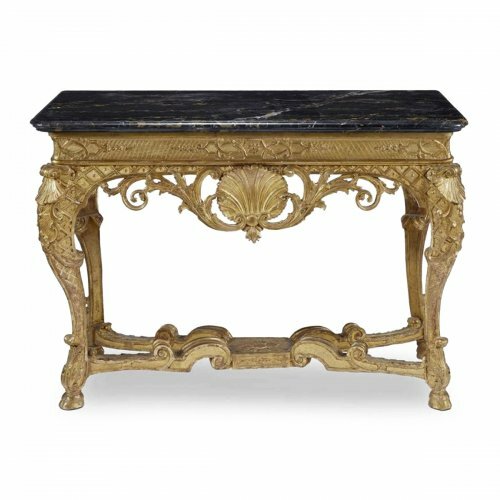 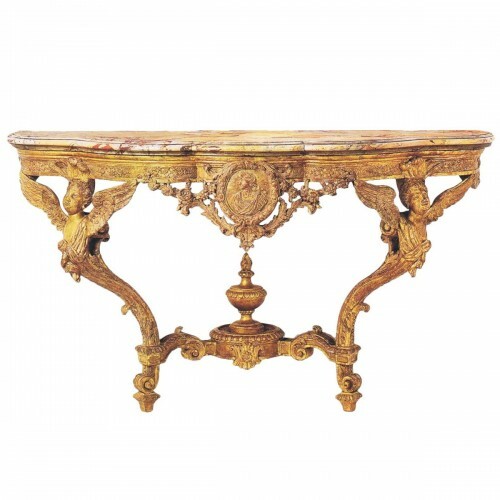 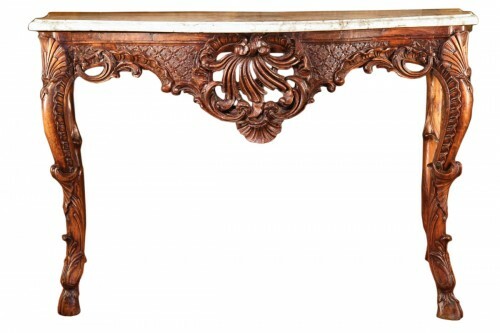 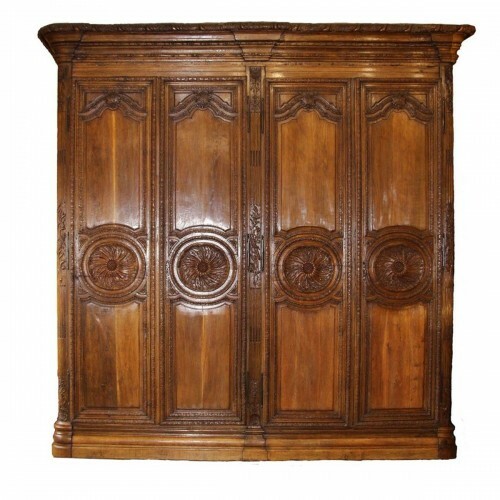 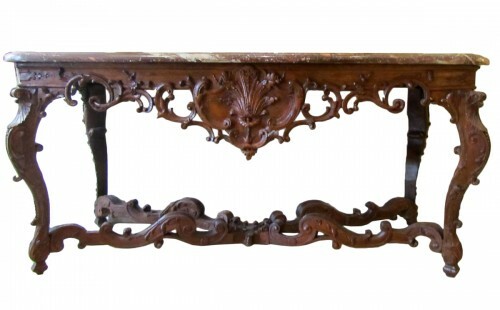 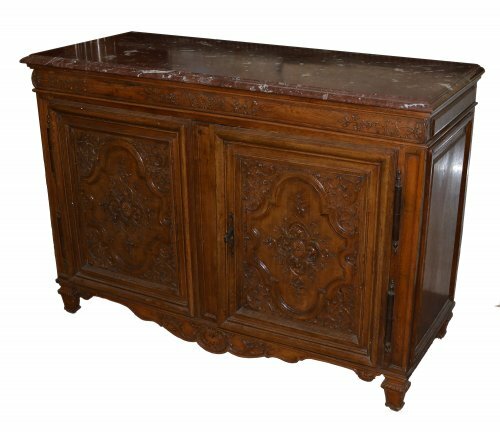 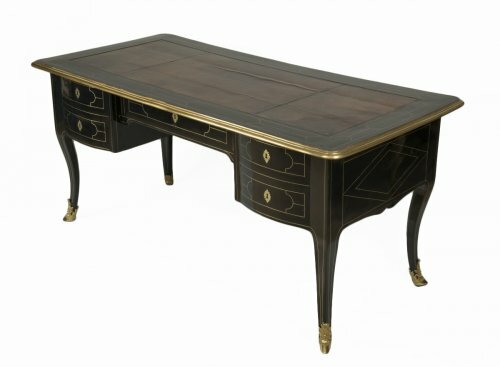 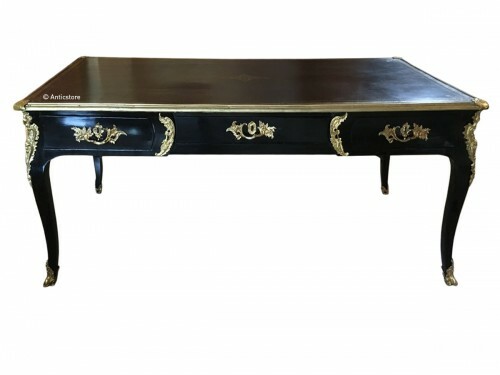 The blackened pear wood bureau plat is typical of the Régence period.